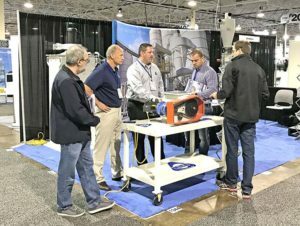 We are gearing up to hit the ground running in 2019 with our trade shows schedule. We hope that the locations and dates allow for many customers and prospects to get a chance to speak with our representatives. To really understand the Kice difference, meet us in person at one of these industry events. We attend several shows every year, and we’d love to show you how Kice can help you meet your goals. The shows are a great experience to get a hands-on demo of our products and talk in depth with our experts on any questions you may have, as well as what is new in 2019. Email us at sales@kice.com to set up a time to connect at any of the shows. Keep checking our schedule below to see if any additional events are added throughout the year. IAOM Texoma, Central & Wheat State Districts Joint Spring Conf.